ScarabWeb is yet to offer competitive hybrid cloud hosting solutions right in our Tier 4 Datacenter. With our hybrid cloud solutions you can configure your own specifications and multiple them into as many VM's as you want. ScarabWeb offers full scalability on how you want to turn your cloud infrastructure around. We offer one click upgrade and downgrade of specifications and many billing cycle including daily bulling. Our easy to use control panel features many and fast features to control your solution, including more then 500 OS templates and one click control panel installations. Click HERE to Receive $25 FREE Cloud Credit! Up to 32 Cores & 192GB RAM EACH of your VMs! Manage multiple VMs in different Datacenters within ONE Account! 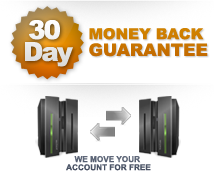 Pay as you go Hourly resource based billing! NO commit necessary! Dedicated Cloud Account Manager to help at any time! Senior System Engineers & Technical Consultants available per Request! Fully Manage as many VM's within one Account! Automatically Scale your VMs up and down within a matter of minutes! Load Balancer & Firewall Services Built in free to use! Cloud Subaccounts & Permission Management built in! Manage your custom App & OS VM templates. 3 Different Datacenter Locations Available and growing! Private Label Cloud Reseller Accounts and Subaccounts available! Built on Enterprise Grade Hardware & Software!